–Container Stop, located in Paso Robles, California, is now providing Hollister storage containers. The expansion to deliver to Hollister, California is much needed with all of the agricultural development needs. Container Stop specializes in selling, renting, delivering, and customizing 10-40 ft shipping containers. The purposes for using storage containers have a wide range. From agricultural to rural, and residential, Container Stop has experience. For any needs like dry, refrigerated, insulated, and ventilated, Container Stop can customize it. Container Stop has the expertise to help customers decide which size container they need. Working with customers in the customization process, for a perfect shipping container transformation, is easy with Container Stop. Customers in Hollister, California know who to call to safely deliver a purchased or rented shipping container. Container Stop delivers shipping containers to Hollister, California. Rent, own, and see what makes them such a popular storage container option. Using adapted shipping containers into storage containers makes so much sense. Costs are competitive to wood frame and concrete structures, and the containers are easily moved at any future time, by Container Stop. Businesses love storage containers, because the low price for storage over time makes the most sense and pays for itself. The initial low cost to buy them, ability to stack, modify, scale up or down, and durability all lend to a great investment and worth. The long life and resale value ensure customers that their future storage needs will always be taken care of. Moving? Call Container Stop to help move the shipping container to a new location. Customers are happy with the freedom to move anywhere in California, or across the nation with the storage containers. Based out of Paso Robles in California’s central coast makes Container Stop easy access to travel in any direction for delivery. Being a small, family-owned business ensures attention to detail and supreme customer service satisfaction. Started in 2015, Container Stop was and still is the only shipping container company in the county of San Luis Obispo. Hollister California is a primarily agricultural town in San Benito, California, right in the heart of the central California. Between Salinas and Gilroy, the town of Hollister, is an old west town settled by ranchers and farmers in 1872. The agricultural history, and being home to Pinnacles National Park, has made Hollister a beautiful and rich source of California’s history and culture. –Recently, San Luis Obispo county’s only shipping container provider, Container Stop, is now providing storage containers to Gilroy, California. Container Stop is an all-in-one kind of business where customers have the option to buy, rent, and customize 10-40 foot shipping containers. Container Stop provides customers with a personalized, fully functioning, storage container and delivers it exactly where it is needed. Container Stop is one of only a few shipping container providers in the Central California region. Container Stop is proud to not only customize Gilroy storage containers but to do it at a level of detail and professionalism not seen in the bigger shipping container businesses. All of the work that is needed for each individual order is carried out with Container Stop exclusively. The owner of Container Stop, Garrett Crocker, is based in Paso Robles, California. Garrett has years of experience modifying shipping containers into various uses. With expertise in hauling and transporting and on-site storage, Container Stop is giving Californians a reason to celebrate. With a quickly growing business and a long list of previous clients, Container Stop, delivering storage containers to Gilroy, has a solid foundation of work and strives to be the best provider possible. Financially, shipping containers are competitive and cut down high overhead costs. Another reason to celebrate! Agriculture is one of California’s biggest businesses, and there is a demand for shipping containers in Gilroy to help keep ranches and farms functioning smoothly. Secure with lockboxes, or bolt on locks, the shipping containers are theft-proof. With the ability to keep safe and secure, store dry or refrigerated goods, Container Stop has the customer’s needs covered. Container Stop can help customers install doors, windows, ventilation, electricity, insulation, racks, and shelving. From sliding doors to amazing paint jobs, and fully move in ready shipping containers, Container Stop does it all. The ecological benefits of using “upcycled” shipping containers are proven when it helps to clean up our planet. People are seeking a greener future, amid a housing and environmental crisis, the and one of the possible solutions is to use recycling. With the use of recycled materials, Container Stop has given the eco-friendly minded people of California a business with heart and mind involved. Container Stop cares about the environment and strives to be ecologically aware. With some planning and design, the storage container of anyone’s dreams is easily attainable through Container Stop. Container Stop has provided the Central Coast of California with the best possible tack rooms made from shipping containers. Customized by Container Stop, of Paso Robles, each type of tack room can be suited to it’s individual needs. Horses and other farm animals need a lot of storage space for the saddles, and other tack. Here are some quick ideas to help customize any shipping container tack room. Consider lighting. Electricity is an option that can be used inside the container and also on the outside. Consider the structural layout of the shipping container and plan out what goes where before installing any electrical components. Solar panels are a great option! Horse stalls. 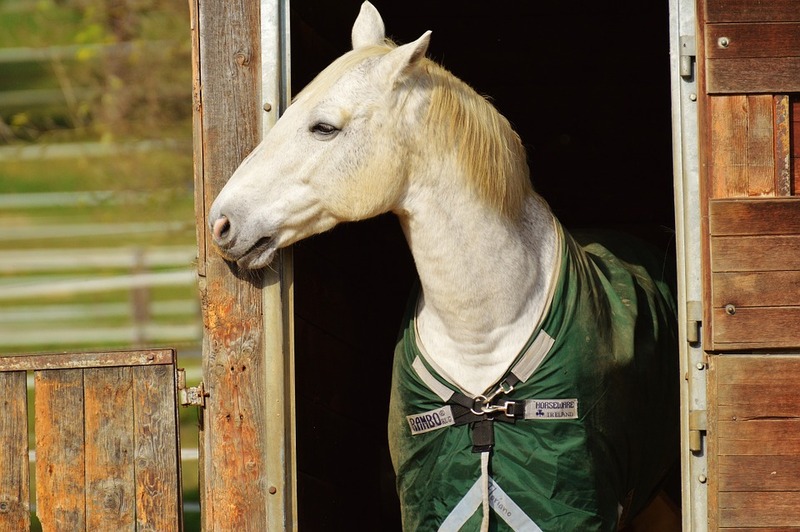 Adding one or two horse stables to the tack house is a simple effective method of having easily transportable stables, and insulating them is an option worth the investment. Having the stable prebuilt saves the cost of building a stable from scratch. Storing feed. Animals and varmints love invading a fresh food supply, and keeping the farm’s food, hay and other precious resources locked up tight is not as hard as it seems. Cabinets can be built into the tack house and securely locked up. Counter spaces naturally take form when installing cabinetry, and having hanging hooks for other tack house goods makes for good organization on the walls. The security of shipping containers is designed into building them in the first place, to keep out any pests. Storms and weathering. Shipping containers are nearly air and watertight. The technology used to make storage containers ensures durability, strength and long-lasting use. Setting up a gutter system or rain catching system could be a useful way to recycle and use fresh rainwater and to also redirect it exactly where you want it. Creating additional storage space. It is so simple to line up two shipping containers parallel to each other and place a roof over the top. It makes for a quickly built barn, large shed, garage or workspace. Every tack room should have a wide open space to work in. Keeping a metal roof overhead is sure to shade the animals on hot summer days, and keep rain away during stormy winters. Container Stop provides Atascadero storage container customers with nearly endless possibilities to customize a tack house specifically for each customer’s personal taste. A solid source of agricultural storage needs has been fulfilled for an area of California with many ranches, farmland and open spaces.